Dubai residents having friends over or first timers on a weekend layover, this is for you. Dubai expats, no matter where you are from, your parents/friends (or that new friend “Oh you live in Dubai now? I’ve always wanted to come and visit!) come and visit, you will have to show them the best of Dubai. 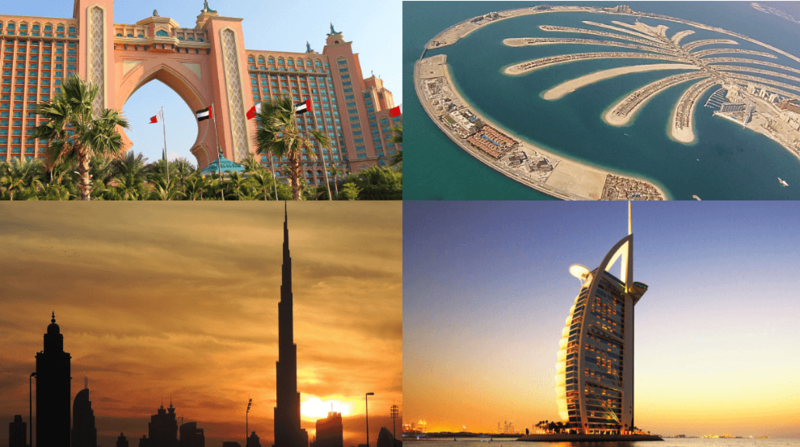 Friday Afternoon: From now you have two options: either chill at the beach, enjoy the Atlantis Aquaventure Waterpark or meet sea lions and go to the spa for a relaxing afternoon, or decide to discover Old Dubai and its beautiful souqs and history. Let’s say you picked Old Dubai. Grab a taxi or the metro if you feel like it and head to Al Fahidi Historic District (Location). There, have a walk around and check out the Dubai Museum if you’re interested in the culture and how Dubai looked like 10 years ago (hint: it was just a patch of sand!). After that, have a walk around the Creek, and take an Abra, a traditional boat, for AED 1. By crossing the Creek from Bur Dubai to Deira, you will arrive in the Souq area. Textile, spices and Gold souq are awaiting, get ready to be hassled and to bargain if you want to buy some gold! Take a walk around, enjoy a traditional Arabic tea with a shisha if you’d like, immerse yourself in the traditional Dubai most people don’t know about. Friday Night: Back to the “New Dubai” area for some dinner and drinks. What's best than relaxing with a stunning view over the only 7 stars hotel in the world (and my personal favorite!) the Burj Al Arab. Have a stroll in the Madinat Jumeirah, the fakest real souq in Dubai (Watch our video for an insight!) and choose one of the many restaurants to grab a bite and a drink. I would suggest The Meat Co as the steaks are delish, and the view absolutely amazing! Make sure you book in advance for an outside table! Saturday Morning: Dubai Municipality offers tours of the beautiful Jumeirah Mosque, every day from Saturday to Thursday at 10am. Make sure you’re there at 9.45am as it’s usually pretty popular. Bring AED 10 per person, and enjoy the 75 minutes tour, followed by a Questions and Answers where all your questions about Islam, the abaya, the religion, prayers or eating habits will be answered. Don’t hesitate to ask your questions! Ladies, bring a scarf to cover your hair, and of course dress appropriately, out of respect. Saturday Afternoon:Dubai Mall! Cause you HAVE to step inside the biggest mall in the entire world (so far…) and see the gigantic aquarium (or walk under it, if you prefer), the ice skating rink, the 440,000 square feet Fashion Avenue and the countless stores. 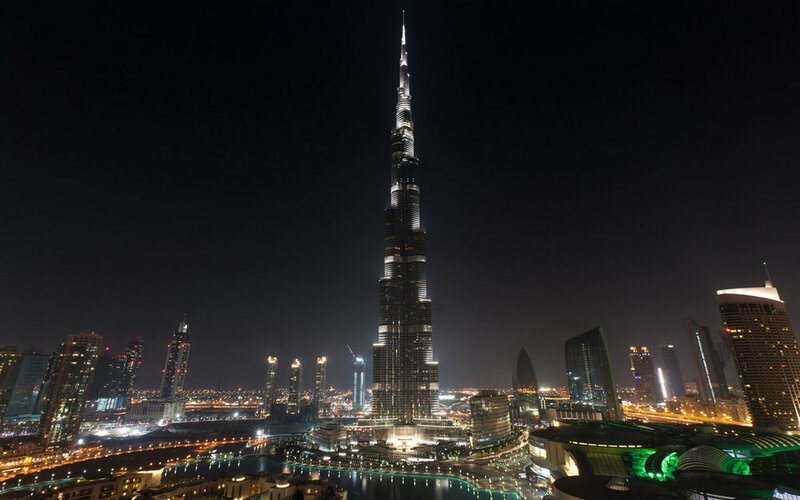 Saturday Night: Save the best for last, with a dinner in the Souk al Bahar in Downtown Dubai, near the Burj Khalifa and its beautiful fountain show. The World’s largest dancing fountain show runs daily from 6pm to 11pm every half hour. Fun facts: You will hear Whitney Houston, Michael Jackson or Arabic music and the water sprays up to 500 feet! Get the camera ready and try filming in slow-mo for a nice twist. I will soon post an itinerary for a whole week, followed by a two week trip, stay tuned! Anything else you would recommend, or you did that I missed?